When a player is the target of an attack they can discard one hand card. They then select another player one distance away. The attack is transferred to that player. 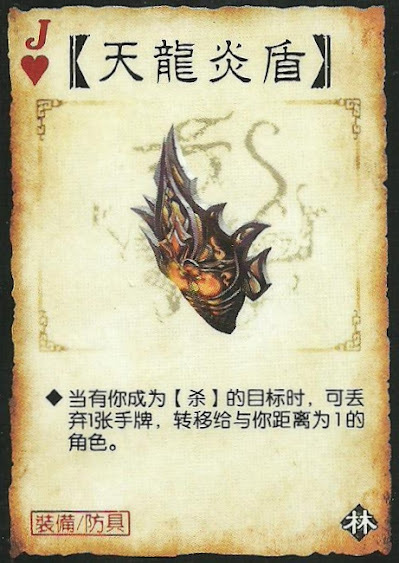 This ability is similar, but not the same as Da Qiao's "Displace". If both neighbors have +1 horses, then the player cannot transfer the attack. The player can pass the attack back to the source. The source then must play an Escape or get hit. The target of the transfer gets the benefit of their armor for the attack.